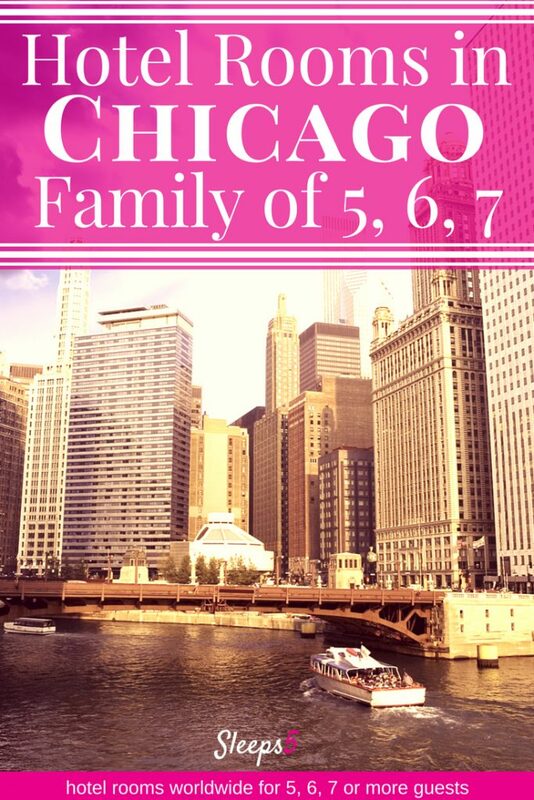 Chicago hotels for a family of 5, 6, or 7 in one ‘family room’ or family suite are listed in alphabetical order below (scroll down). The interactive Google map shows each hotel location. Most are family hotels downtown Chicago, many are on, or within one to three blocks from, the Magnificent Mile. The room or suite price or rate range of each hotel is indicated with the $ symbol. See the $-symbol key in the sidebar. Click on the hotel name for more details. The detail information includes a street map, the hotel’s address, phone number, website link, email address, and how to book. Large hotel rooms, 1 bedroom suites, 2 bedroom suites, and a hostel are included. All have private bathrooms (ensuite) unless otherwise mentioned. The room varieties have king, queen, double, and single beds. Some have a sofa pull-out bed, and some offer an extra roll-away bed, or baby crib (baby cot). Listed below are family rooms for every budget. Choose one with a $ or $$ if you’re looking for a cheap place to stay. Or click on one with $$$$ or $$$$$ for a luxury family accommodation. Keep in mind that prices fluctuate quite a bit seasonally, or during special events. This big city is a popular destination to visit with kids, and we hope the list below helps you find the best place to stay in Chicago with family! If you find other hotels in Chicago for families not already listed here, please email us or comment below! And let us know how your experience was, we love to hear from visitors! 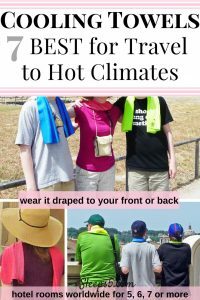 Choose Chicago – a city tourism website page with things to do with kids. City of Chicago‘s History page.